He was no doubt referring to GTV9, which actually considered itself the underdog when it was the third channel to launch in Melbourne. It would go on to become one of the biggest successes in Australian television, with a reputation described as “Hollywood on the Yarra”. 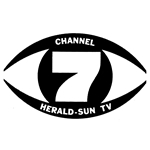 Although investors in GTV’s parent company, General Television Corporation Pty Ltd, included a consortium of newspaper publishers, radio stations and theatre companies, the new channel was launching after rival HSV7, which had the resources of the mighty Herald and Weekly Times (HWT) media empire behind it, and ABV2, from Australia’s national broadcaster, ABC. But GTV9, despite its modest estimation, went aggressively into the market — even before it had officially debuted. The owners spent big, while HWT ended up taking a more cautious approach to television and ran HSV like a corner store — only investing once it made a profit and paying its talent modestly. HWT also sought to protect its existing media — newspapers The Sun and The Herald and radio station 3DB. It was this contrast in approach between the two commercial channels that saw GTV take the lead and dominate for years to come. 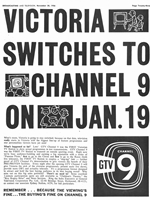 GTV was the first station in Melbourne to conduct a trial program broadcast. On Thursday 27 September 1956, Royal Melbourne Show Day, 3DB radio announcer Geoff Corke became the first person to be seen on Melbourne television. He introduced a small array of short films from a temporary studio set up at GTV’s transmitter site on Mount Dandenong. The programs included a John Wayne film and a Terry Toon cartoon. “The viewing’s fine on GTV Channel 9,” Corke announced. The Melbourne Olympic Games were ready to begin in November, and while GTV9 was yet to be officially opened it had struck up a sponsorship deal with petrol company Ampol to present all-day broadcasts of Olympic Games events for the duration of competition. Nine also scored a coup with its coverage by signing up legendary American athlete Jesse Owens to its commentary team. Owens, visiting Australia as an official representative of President Eisenhower, joined what was already an impressive team that included sports commentators Eric Welch, Tony Charlton and Bert Bryant. Geoff Corke was also enlisted to join Nine’s commentary team. After the Games, GTV continued to present transmissions of test patterns, music, films and some outside broadcasts in the lead up to its January launch. On Christmas Eve the channel presented a live telecast of Carols By Candlelight, an event that would become a Nine tradition more than 20 years later. The building that housed GTV for over 50 years was a converted factory building. The property, purchased by GTV for £150,000, was originally a piano factory at the turn of the 20th century and was later a Heinz soup factory. GTV was also astute enough to purchase a property that had a scope for expansion — something that various overseas stations had not envisaged when starting up. Keeping the original building facade, GTV constructed two large studios (including one that allowed for “cooking and homecraft demonstrations”) and kept the generously-sized cafeteria that Heinz had in place for its staff. 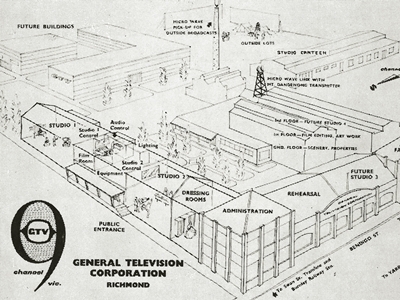 GTV’s conversion of the building saw the site dubbed “Television City” and would later also be home to radio station 3AK. Nine’s official opening was to be a lavish and regal affair. 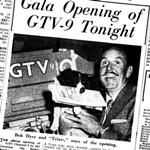 On Saturday night, 19 January 1957, GTV9’s schedule started with a half-hour of celebrity interviews presented by John McMahon. The interviews were a prelude to the main event, a two-hour variety special that saw Victorian governor Sir Dallas Brooks enter Studio One by chauffeur-driven limousine before making his opening night speech in front of a packed studio audience of 400. Radio broadcaster Terry Dear hosted the variety show which included performances by Toni Lamond and husband Frank Sheldon, ventriloquist Ron Blaskett, singer Ray Dickson with a children’s choir, indigenous performer Harold Blair, animals from Bullen’s Circus and Lou Toppano‘s 23-piece orchestra. Bob and Dolly Dyer, whose national Pick A Box show was a hit on radio and was to be adapted for TV, also made a special appearance. One popular radio star that was also to make the transition to television was Clifford Nicholls Whitta. “Nicky”, as he was known to many, presented a daily program on 3UZ with a young sidekick, Graham Kennedy. After 30 years in radio, Nicky was destined for a career in television, being announced as a host of a planned children’s program for GTV9 early in September, 1956. Just days after the announcement, Nicky died suddenly at the age of 51 from a heart attack. Nicky’s successor at 3UZ, Happy Hammond, was to also take on the role of host of children’s show The Happy Show when it debuted during GTV’s first week of transmission. And it was inevitable that Kennedy would also make his way to television. 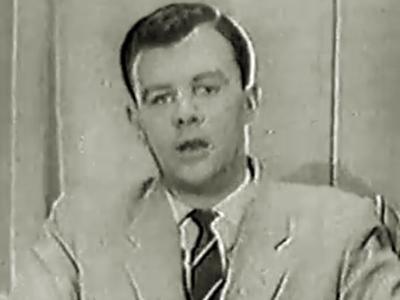 His appearance on an early GTV9 telethon in 1957 caught the attention of producer Norm Spencer, who was casting for his new nighttime variety show. Kennedy, then only 23 years old, was appointed host of In Melbourne Tonight. 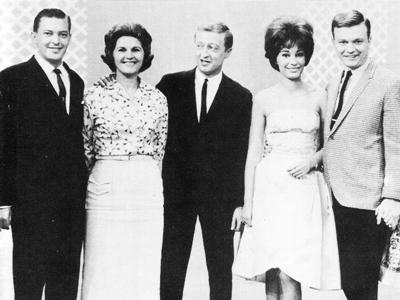 The show, which debuted on 6 May 1957 and screened five nights a week, became a hit with viewers and firmly established GTV as the leader in television variety with its mix of song and dance numbers, comedy skits and Kennedy’s ruthless mocking of the show’s sponsors. IMT also gave birth to one of TV’s greatest on-screen partnerships, when Bert Newton came across from HSV7 in 1959 and was paired up with Kennedy to present a commercial. From that time on they became longtime professional partners, not just on IMT but on later stints in both TV and radio, and friends in real life until Kennedy’s death in 2005. IMT grew so big that it ended up having a studio made specifically for it. Studio 9 was built in 1964 as a multi-purpose studio capable of handling large scale productions. 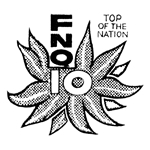 It housed IMT and hosted all sorts of major productions including New Faces, The Graham Kennedy Show, The Don Lane Show, The Ernie Sigley Show, Hey Hey It’s Saturday, The Paul Hogan Show, Family Feud, Sale Of The Century, The Daryl Somers Show, Tonight With Bert Newton, Blankety Blanks, All Together Now, The Price Is Right, The Footy Show, Burgo’s Catch Phrase, Don’t Forget Your Toothbrush, Starstuck, Who Wants To Be A Millionaire, Temptation, Bert’s Family Feud and Millionaire Hot Seat. 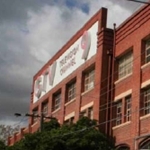 The building at 22 Bendigo Street, Richmond, the piano factory that became a soup factory and then a TV station, was sold off in 2010. GTV9’s official send-off from the building was the special Lights, Camera, Party! – Television City Celebrates, from the original Studio One that presented the official opening back in January 1957. The building facade remains but the site, including Studio 9, has been redeveloped into residential apartments, although there are links to the site’s rich TV heritage. One of the streets that runs through the estate now is called Kennedy Avenue. Source: Broadcasting And Television, 27 January 1956, 7 September 1956, 5 October 1956, 30 November 1956. The Age, 10 September 1956, 27 September 1956, 22 November 1956, 21 January 1957. Compulsive Viewing: The Inside Story Of Packer’s Nine Network, 2000. Great article there and a couple of new interesting things there about the Olympic commentary team and the studio plans that were very new to my knowledge, especially Jesse Owens as a guest commentator and also serving an important state role for his country in representing the then President Eisenhower. Also, we must never forget the wonderful early relationship that GTV9 had with ATN7 in Sydney. These two stations were paired-up with each other by the Macquarie Network, in order to gain TV rights for various Macquarie radio shows that made the transition (including Pick-A-Box, Leave It To The Girls, Quiz Kids, Caltex Theatre and three of the Jack Davey game shows). Both stations also co-operated with each other in the first live inter-city networking exercise – “Operation Kangaroo” – and I think ATN would’ve been part of the Ampol sponsorship deal to show the film footage of GTV’s Olympic coverage in Sydney; both stations were still having test transmissions at the time but, ironically, ATN managed to officially open about halfway through the duration of the games (though their opening was a hastily-convened affair on a stormy night with heavy rain in contrast to their then sister station’s smooth-running opening night). Re: the Melbourne Olympics, the Ampol deal was actually struck between both Channel 9 in Sydney and Melbourne, even though the channels were of opposite ‘networks’ in those days. 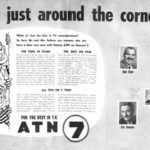 “Operation Kangaroo” and the ATN/GTV partnership were both mentioned in the article on ATN7’s 60th. 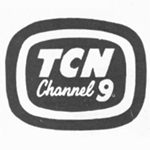 Oh, I didn’t know that there was an actual collaboration between TCN9 and GTV9 – now that IS interesting. TV here would’ve started with a little bit of syndication then – i.e. without regard for actual network affiliation – at least until GTV officially opened. Yes, thanks for clarifying that one. Cheers. Ray Dickson, the singer mentioned here, is my grand father. Is there a way to obtain footage from the opening night?